Be wary of the dentist that wants to replace your missing tooth with a old fashioned bridge. Bridges do not last long term and when they fail it causes disastrous results. An old fashioned bridges damages teeth. The modern solution to missing teeth is a dental implant. 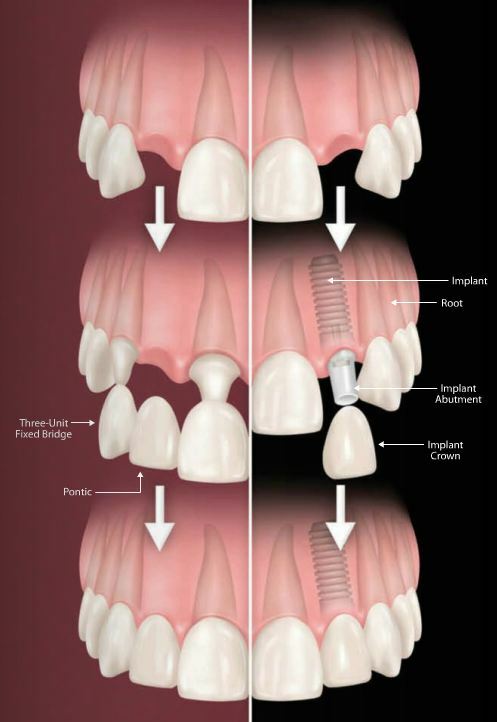 Dental implants are the longest lasting tooth replacement option and implants do not damage teeth. Implants are the best and longest lasting teetth replacement option. A dental implant does not damage natural teeth like an old fashioned bridge. Why a dentist would recommend a bridge?